V.I.P. 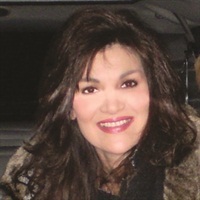 Salon & Spa owner Reneé Borowy ordered her specialty menus online from a restaurant menu company and had them embossed with the salon’s logo. 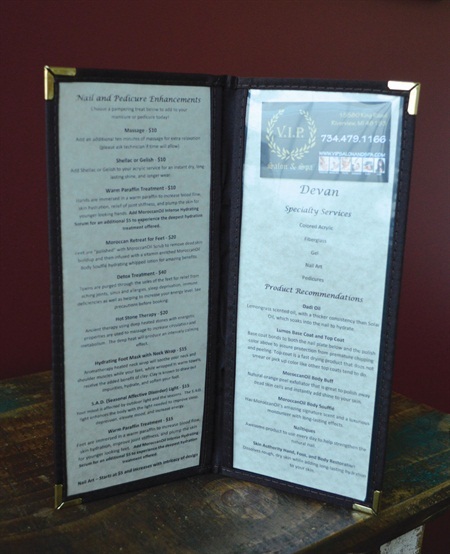 There’s a reason the “specialty” menus at V.I.P. Salon & Spa in Riverview, Mich., look like they belong in a nice restaurant. 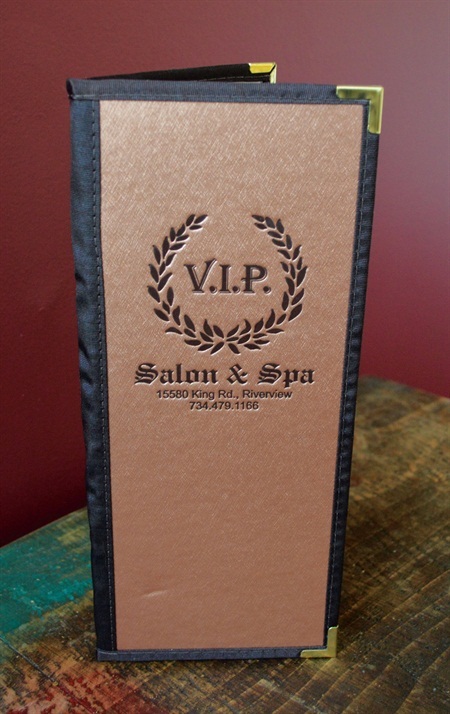 Owner Reneé Borowy ordered them online from a restaurant menu company and had them embossed with the salon’s logo. “They are great quality,” says Borowy.